“I implore you to find my client not guilty!” thundered criminal defense attorney Peter Liss as he concluded his fiery closing argument to a jury in a quiet Vista courtroom. The jury did just that in record time. Peter Liss is always impassioned in his representation of the accused, whether it be a death penalty case or a misdemeanor matter. The calling to law began in courtrooms abroad when Liss as a young boy would accompany his father, a civilian air force court reporter to court in places as far away as Japan, Spain, Germany, and Italy. Even then Liss loved the thrill of the courtroom, a devotion that has not diminished in his thirty-five career. I sat down to talk with Peter Liss about his peripatetic childhood and the lessons it taught him. Liss was born on Johnson Air Force Base in Tokyo, Japan. As wanderlust burned in his father’s soul, the family embarked on a moving schedule that would make anyone’s head spin. When Liss was two, the family moved to Tripoli, Libya, followed soon thereafter by a move to Zaragoza, Spain. Liss’ grade school years were spent on the Hahn Air Force Base in West Germany, the Yokota Air Force Base in Fussa, Japan, the Davis-Monthan Air Force Base in Tucson, Arizona, and the Ramstein and Wiesbaden Air Force Bases in Germany. Middle school took Liss to Aviano, Italy, where he could have happily lived forever. Yet relocation was inevitable and the family returned to Tucson, Arizona and then Lompoc, California where Liss completed his high school education. Liss’ mother was an expert at quickly packing up her household and her three children, but found the constant uprooting difficult, and at last decided that California would be their permanent home. Reflecting on the lessons he learned by the constant moves, Liss credits being adaptable as paramount. Liss says, “I am a better person today because now I understand that you have to adapt to changing circumstances. 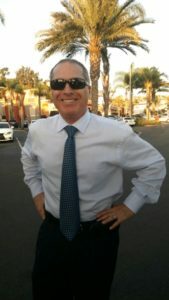 You can’t be set in one way of living or doing anything, so when the situation demands you have to change.” This valuable lesson has not only helped Liss in his personal life, but has afforded him the ability to formulate unique and successful defenses for his clients, to remain unruffled in the capricious environment of courtroom litigation, and to manage the challenges of running his private law practice. Liss also credits learning to make friends quickly as a benefit of the frequent moves. Liss says, “You move. You have to meet new people. You just do it.” Liss’ outgoing personality and love of talking emerged. He further developed a quick wit, finding humor can break through any situation. Liss still loves to tell jokes and can make even his opponents laugh. Liss’ persuasive talent was cultivated abroad as a result of his immersion in different cultures and attitudes. Liss explains, “Dealing with people who don’t necessarily want what you want, you need to learn how to persuade them.” Liss continued to hone his persuasive techniques through long hours of competition on the Lompoc High School speech and debate team. Finding Liss such a gifted orator, a teacher christened him, “The boy with the golden tongue.” Liss went on to graduate from the University of California Santa Barbara and the preeminent University of California Berkeley School of Law (Boalt Hall). It is little wonder that Liss spent the next fifteen years in public service, first as a lawyer at The United Farm Workers of America, then The Legal Aid Society, and the San Diego Public Defender’s Office, as his mother instilled in him the importance of helping others and her example of always assisting the less fortunate no matter the country of her abode remains vivid in Liss’ mind. 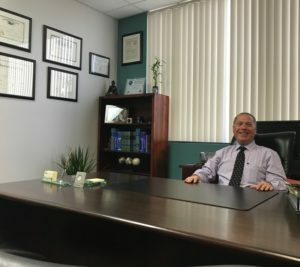 Liss has continued his steadfast allegiance to human welfare in his private practice of twenty years, by serving as the President of Affordable Housing Advocates, by teaching at the National Institute of Trial Advocacy, and through his volunteer mentoring of law students. Liss has been the recipient of numerous awards for his pro bono service as well. Liss further believes that the moves made him a better parent to his two boys, now seventeen and twenty-one. Although grateful for the travels of his youth, Liss understands the importance of providing stability and a solid social structure to his children, foundations lacking in Liss’ formative years. While it is true that the nomadic lifestyle may appear adventurous and exciting, the penalty of constantly saying goodbye can be tough on anyone, particularly a young child. Liss’ desire for his boys to have stability has grounded Liss in San Diego. Liss chuckles as he realizes that he is now providing the exact opposite of his own childhood. Liss’ greatest joys are spending time with his sons, whether attending his youngest son’s soccer game or hearing about his eldest son’s latest college achievement. At times, Liss still dreams of the delicious food he adored in Aviano, Italy, particularly the “true Italian pizza” that came out of an old fashioned wood fired oven and that he ate nearly every day after school. Nowadays, Liss’ pizza eating days are limited, as Liss is a dedicated health food guru and can be found reading labels at Jimbo’s and Whole Foods, where his commitment to an organic lifestyle flourishes. On weekends, Liss puts advocacy aside to push himself in punishing spin classes or rugged biking. On holidays, he hikes with his family in the tranquil beauty of the Cuyamaca Mountains or Anza Borrego Desert. After exercising, Liss may head out to a local shopping center as his love of clothes shopping can rival any woman’s or sit down to read one of the four newspapers he reads daily. Today Liss still possesses the travel gene and when not in a courtroom can be found on a plane bound for a foreign destination. Liss’ wife was born and raised in Northern Ireland, and trips to her homeland have been frequent through the years. In the summer of 2015, Liss and his family attended his niece’s wedding in Lenham, Kent in the countryside outside of London, England. A trip to Stockholm, Sweden followed where Liss spent hours walking the cobbled streets and talking to the people, whom he found educated and friendly. We salute Peter Liss’ traveled history, his single-minded zeal to his profession and humanitarian work, and say, “Bon Voyage” to his next overseas adventure.